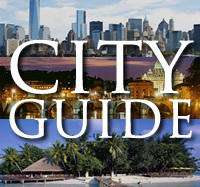 The best places to visit in Paris | Elite Club, Ltd. This article was written on 13 Jun 2014. 27 million visitors come to Paris annually. There are 17 million foreign tourists among them. All of them want to see the best of Paris. 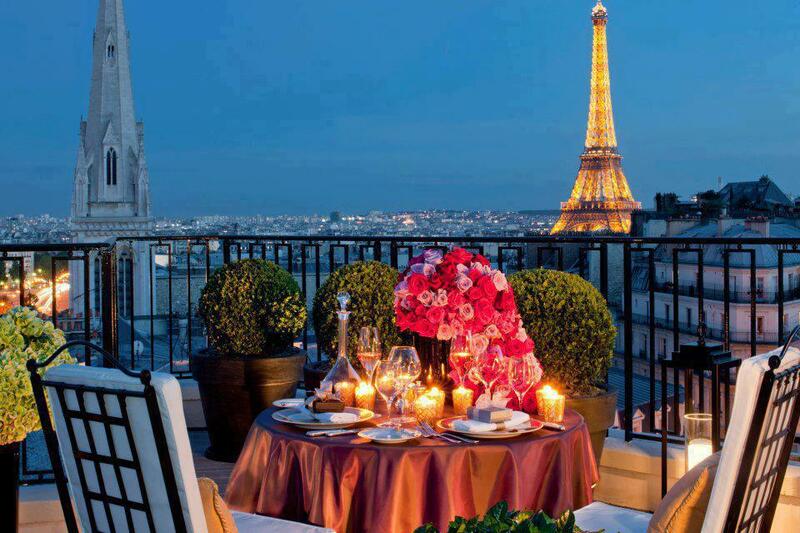 Here are the best luxury venues you should visit to see the most beautiful and bright Paris. 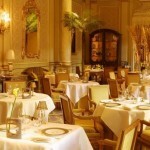 Classic French restaurant Le Cinq at Four Seasons Hotel George V has luxury and welcoming atmosphere. It bathes in gold and flowers beautifully arranged there. 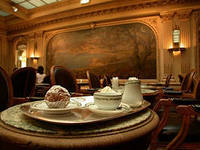 The visitors like to have a bite in La Galerie with fantastic Flemish tapestries or socialize in Le Bar decorated in mahogany and cognac colors. The wine cellar includes about 50000 bottles of wine. Guy Savoy presents impeccable service and incomparable modern French cuisine. 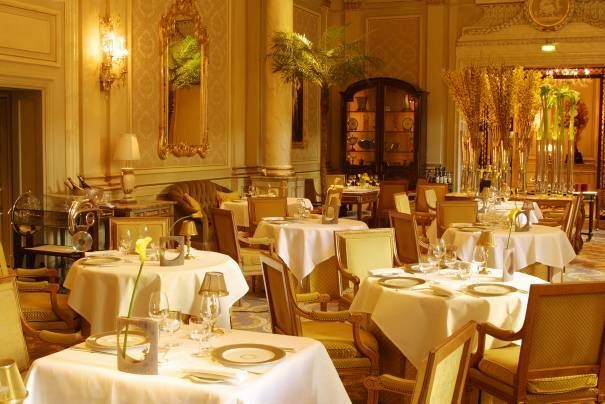 Lovers of classic European cuisine should dine in Le Meurice. Elegant luxury setting in white and silver décor contributes to harmony of the place. The chef Alain Ducasse is highly acclaimed by gourmets. You can have an excellent dinner in the most beautiful interior you can imagine. Enjoy great drinks and live jazz in the bar. 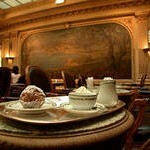 The history is in every stone of Paris even when dishes of modern French cuisine are prepared. 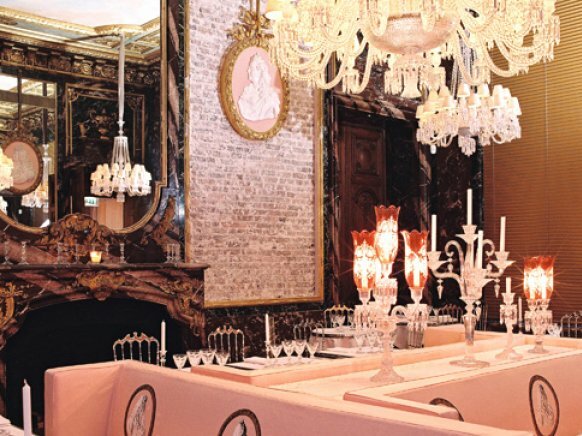 Crystal Room Bacarrat is located in the former dining room of Vicomtesse Marie-Laure de Noailles. It was refurbished by Phillipe Starck who used the original wood paneling and mirrors in décor. 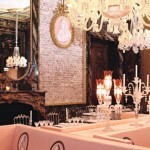 There is much gilding and crystal chandeliers in the restaurant that occupies the first floor of Baccarat museum. Lovers of Klimt art will love the idea of dining in Apicius. The Klimt room is decorated with works of his talented artist. There is Petit Salon here too where the company of 6-7 people can dine in privacy. Light modern French cuisine is served there. It is located in the residence of Marquis de Talhouët who lived in the 19th century. 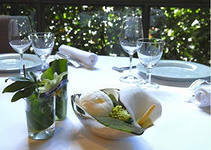 The Raphael restaurant offers gourmet cuisine in the atmosphere of the 16th century. You will see a sophisticated blend of French traditions with designer’s chic. A luxury restaurant and a bar are superb. 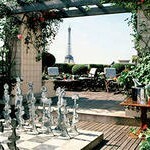 In spring and summer people can dine on the magnificent terrace that overlooks Paris. By the way, the terrace can be rented for special occasion. The specialties are seafood and fish platters. Classic dishes are served with modern touch. Much attention is paid to nutritional value of dishes. 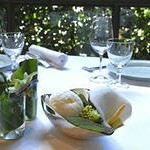 Dishes of modern fusion cuisine are offered at Pierre Gagneire. It is a good alternative for those who are tired of heavy classic. You will love bizarre combinations of flavors. Angelina is mecca for chocolate lovers where baked goods and chocolate desserts are served. There is a big choice of French pastry, sweets, meringues in it. The décor of belle epoch enhances the appetite. Walk along the city to see the Arc de Triomphe at Place de l’Étoile. 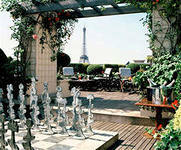 There is panoramic view terrace on Arc de Triomphe, where you can look at the city. One can get to 12 grand avenues from this square, enjoy views of Champs Élysées, Eiffel Tower and etc. Assess the geometry of urban plan of Paris. Among the landmarks the following ones should be noted: Catacombs of the14th century, Notre Dame Cathedral of the 4th century, Opera Garnier of the 9th century, Pantheon that date back to the 5th century and many others. If you want to see the museums you should buy Paris Museum Pass. It is an entry card to more than 70 museums of the capital and the Palace of Versailles. ParisPass will let you see over 60 Paris attractions including Arc mentioned already. Paris is famous for its cabarets venues. If you travel with kids then you can go to Disneyland near Paris. Asterix Park is a great alternative to it. You can also explore Cite des enfants, Jardin du Luxembourg (10 y.o.+), Parc Zoologique, Parc des Buttes-Chaumont. The travelers looking for nightlife should release the energy at night clubs of Paris: VIP Room, White Room that overlooks Seine and Eiffel Tower, Social Club, authentic Parisian club Chez Rasputine, rock-and-roll themed Bus Palladium, Showcase located under the Pont Alexandre III Bridge or funky club Batobar, one of the best dance clubs of Paris.